In October 2018, District Fit supported Real Men Wear Pink. District Fit is held during breast cancer awareness month, and because of John's involvement in RMWP campaign, some of the free classes during District Fit will include a donation element to support this campaign. One of John's hotels, Hilton West Palm Beach, has gone PINK for the months of September & October. Pop over to the this page to learn more about their pink rooms, meals, uniforms and more. John L. Parkinson is an area general manager overseeing Hilton West Palm Beach and five Hilton hotels in Fort Lauderdale. 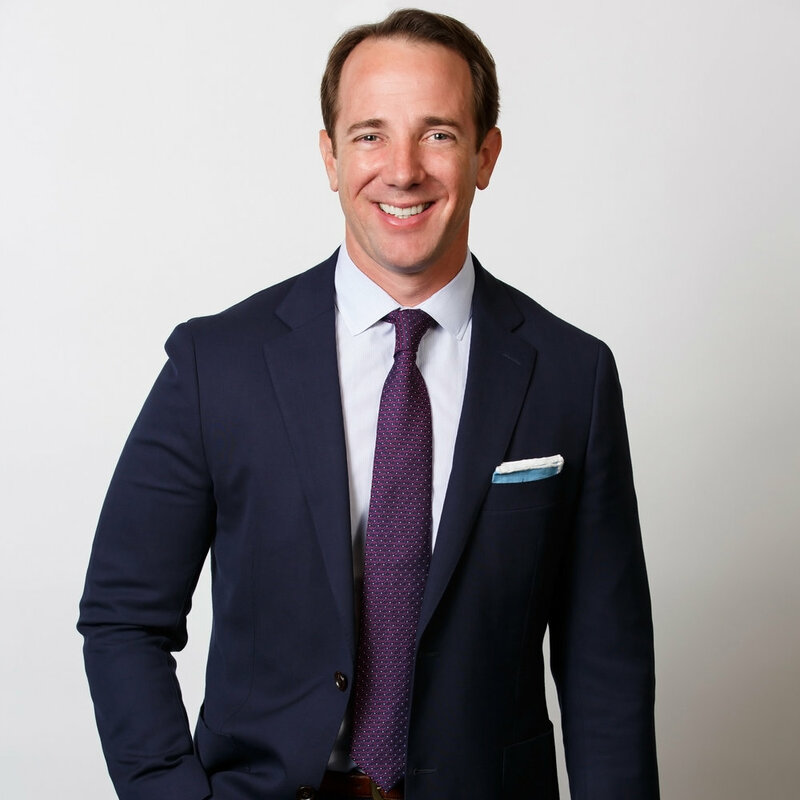 A native Orlando resident, John began his career with Wyndham Hotels and held various operational positions at Marriott before his tenure with Hilton began in 2003. He ran the DoubleTree Suites by Hilton Hotel Orlando Lake BuenaVista and Embassy Suites Orlando International Drive South Convention Center as general manager prior to relocating to West Palm Beach in 2015. During his fifteen years with Hilton, his hotels have received numerous awards achieving top goals at his Orlando hotels in 2010, 2011 and 2014, as well as Food & Beverage and Marketing Excellence awards in 2016 and 2017 for Hilton West Palm Beach. John graduated from Tennessee Wesleyan College where he was an AllAmerican Baseball Player with a B.S. in Business Administration. He currently is active on the Board of Directors for the Florida Restaurant & Lodging Association, Chamber of Commerce of the Palm Beaches, Board of Trustees, Discover the Palm Beaches, and is a past Chairman of Orlando’s Resort Area Chamber of Commerce. In 2013, he was named to the Orlando Business Journals top 40 influential people in Central Florida under 40 years old, and in 2016, was named was Connect Corporate’s 40 under 40. In his free time, he enjoys fitness and coaching his 10yearold son's baseball team and watching his 6yearold daughter's dance class. John lost his grandmother and mother to cancer at a young age and this year, his older sister lost her battle against breast cancer. As a two-time survivor, she had dedicated more than 10 years of her life to helping people stricken with this disease. John’s mission is to pick up where she left off and continue her fight. In March 2018, he created District Fit in partnership with Hilton West Palm Beach and CityPlace to bring awareness of a healthier lifestyle by offering free wellness and fitness classes to the public. Due to its success with more than 1,000 attendees, District Fit will be held again October 19-21, 2018, during Breast Cancer Awareness Month and Spa & Wellness month with more than 20 health, nutrition and exercise classes, highlighting the benefits of living a healthy lifestyle. The opportunity to be a part of ACS’s Real Men Wear Pink campaign will further highlight John’s mission in helping others fight against this disease, broadening his reach and sharing his message while making an impact on the community around him. He looks forward to proudly wearing pink for this campaign in memory of his family and others who continue the fight.